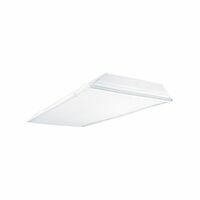 High performance static T8 fixture for recessed applications. Suitable for damp locations. Uses 2 bulbs, 31 watts, 24". UL Listed.